The next generation of Pronto remotes add more memory, a clearer screen, USB interface and RF capabilities. 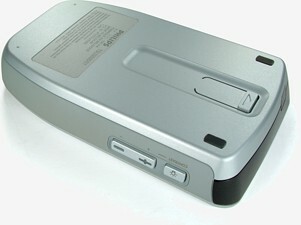 Note that the TSU3500 is the exact same remote with improved backlighting and button tactile response. Let’s begin with a quick trivia question: what was the first computer programmable remote control? Time’s up! If you answered the Philips Pronto TS-1000... then you’d be wrong! The remote with that honourable distinction is, in fact, the Cloud Nine CORE, released way back in 1986. The CORE required some pretty complicated computer-aided programming, and accordingly wasn’t a success with the overwhelmingly non-technical mass market. Although the CORE continues to be produced to this day as the Celadon PIC-200, the concept essentially disappeared until the Philips Pronto came along and popularized it many years later, in 1998. So, how about calling the Pronto the first touchscreen remote control? Again, Philips wasn’t the first to think of that idea – products like the Fox 800, JVC RM-S1 and Recoton Remote 8 came out years earlier. The Pronto’s real fame came from being the first remote control to successfully integrate these previously introduced concepts with several of its own innovations, such as being the first fully graphical remote control and the first remote to allow for real interface customization. The Pronto’s quick success took many by surprise – and none greater than its chief rival at the time, the also graphical Harman/Kardon Take Control. One of the Take Control’s main selling points was its intuitive PC software developed by Microsoft. 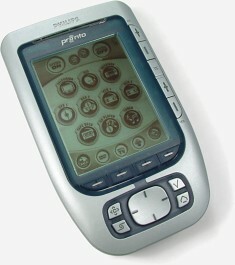 Conversely, the Pronto’s popularity came about in spite of its ease of programming – or more accurately the lack thereof. The ProntoEdit PC program developed a well deserved reputation for being particularly unintuitive and yet, without it, the remote couldn’t do nearly as much. So why is the Pronto here and the Take Control delegated to history? First, the Pronto was so far advanced for its day that the original model released in 1998 continues to compare favorably to current-day remotes and, second, it was an absolutely blank slate: as long as you stayed within its base feature set, whatever you could think of could be done. The remote that almost wasn’t. In reality it’s those two main strengths that most companies try to stay away from. Release something ahead of its time and it may fail miserably if the public doesn’t know what to make of it. Release something without a completely thought-out and predetermined method of programming or operation, and your customers may throw up their hands in frustration at the lack of guidance. Despite some internal development hurdles, the Pronto line eventually succeeded and went on to sell hundreds of thousands of remote controls, even with the $399 USD price tag. New Pronto users found that they could program the remote in only a few hours and emerge with something functional, or spend hundreds of hours and develop a work of art. The sharing of user configurations even encouraged borrowing someone else’s original design and quickly modifying it to work with different equipment. Total customization went over very well.